Out to Southampton today. I drove down the M3 through pouring rain, which dwindled slightly as I came along the M27. The weather forecast had been for rain in the morning, clearing up in the later afternoon, so I decided to change the order of battle; I'd do a 24-cache circuit on foot in the morning, and get on the bike in the afternoon. I parked at a local watersports center "gates locked when closed" hoping that they didn't close before lunchtime, kitted up and set off. 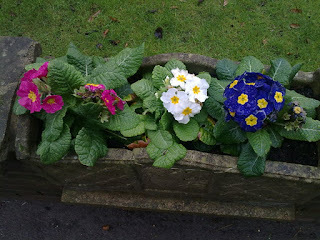 It went well, I found all 24, and on the way round, these rather splendid primroses. You can see the rain still on them, but it stayed dry for me. Then I relocated the car to Warsash, and made use of the handy public toilet, then had my sandwiches in the car. And I got out my bike for the Rammstein series of multis. I trundled down the lane, making diversions as necessary to pick up the info (but failed to note something that I'd need later) until I got to the end; at that point, I thought I'd delay getting the finals until later, and set off for a circuit of trads, still on the bike. After a couple of caches, I missed my track, and sailed gaily into a farm, where a nice lady asked "Lost?" "Yes," I said, U-turned and soon found where I ought to be. 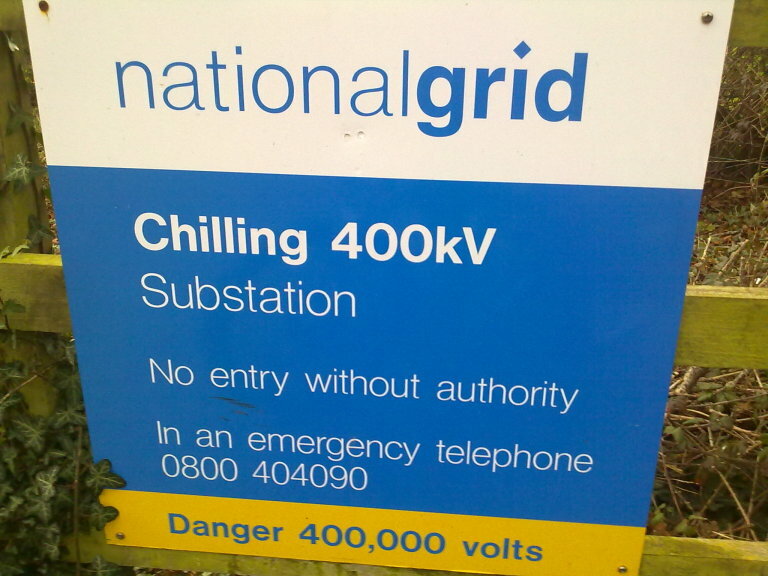 and I thought "That's not chilling, that's pretty hot!" By the time I got back to the car, it was 7pm, and I'd been riding in the dark for two hours. But I have a great headtorch, good enough for biking in the dark. Back in the car, I had coffee which restored me somewhat, and I started to go out for the multis that I'd got the info for earlier, plus a few more trads along the way. 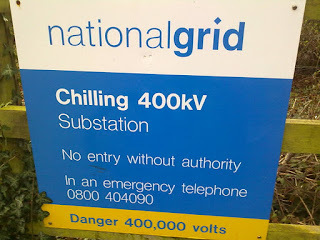 I did the first two on foot, but then I relocated and got the bike out again, and set off in the dark for the last few. And it was late, and I was tired, which explains why, when I was getting the last two caches, I left the bike by a handy tree and found them on foot, and forgot to note the coords of the bike. And so I spent a fraught half hour looking for the bike afterwards, because I'd forgotten that I'd taken it partway into the wood before abandoning it. I was *so* glad to see the LEDs on the handlebars when eventually I spotted it. It's not the first time I've spent longer looking for my bike than for the cache. Note to self - not only note where you left the car, also note where you left the bike! I got home at midnight, as per plan, aching all over from the exercise. A very good day out. This guy is accident prone. He keeps have trouble one way or t'other.